Do you wonder whether group therapy or individual therapy is best for you? 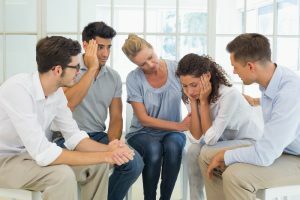 There are similarities and differences between individual counselling and group counselling but both are considered highly successful in the treatment of psychological problems. Individual therapy is the approach that most people commonly think of when they are considering therapy. 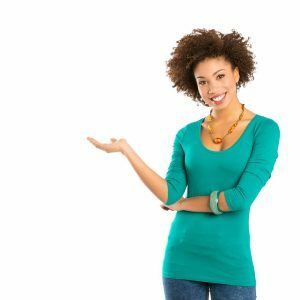 Individual therapy allows you to create a one-on-one therapeutic alliance with your therapist as you work through the issues that led you to seek treatment. Your therapist will give you their undivided attention, support and guidance. They will work with you toward your individual development. You will explore your past and present experiences with your therapist and reflect on how this impacts the challenges you face. Short-term or long-term, which depends on the approach of the therapist and the needs of the client. Can focus primarily on symptom resolution and can be brief, with a lot of structure. More non-directive and exploratory to gain insight and develop greater self-awareness. There can be anywhere between 3-10 participants and one, or sometimes two, therapists present in group therapy. The group therapist will want to create a therapeutic alliance with each of the participants. However, the therapist will also encourage and nurture the therapeutic a lliance and interpersonal relationships between the group participants. This is unique and especially valuable to group therapy. It is not only the therapist who offers support, guidance, and interpersonal feedback, but the entire group functions together towards this end. alleviate loneliness. An additional benefit is a sense of universality and feeling connected knowing that others have lived similar experiences. This can reduce feelings of isolation or shame. Group therapy can also be short term or long term depending on the approach of the therapist and the specifications of the group. Short-term or long-term which depends on the approach of the therapist and the needs of the group. The therapist and the other members of the group provide support, guidance, and feedback. Can foster feelings of being connectedness, knowing that others live through similar experiences. A reparative attachment bond is created through your one on one interactions with your therapist in individual sessions. A process of restructuring and repair occurs as the client experiences a relationship with the therapist that is based on honesty, support and emotional depth. A similar attachment bond is created in group therapy, however, other members of the group can serve as a catalyst for clients to work on creating healthier interpersonal connections and communication. Clients will become triggered by others in the group and are faced to reconcile and come to an understanding about how this mirrors larger patterns in their life. Group therapy provides a unique opportunity for clients to develop new ways of relating to others, as it provides a safe space to examine group dynamics and the typical “roles” the participants fall into when relating to others.